Grilling is an ideal cooking method for ribs, brats, burgers, and many other meats, but it’s also a fantastic way to cook lighter dishes featuring vegetables, seafood, and chicken. Check out these light and tasty recipes the next time you fire up the grill. 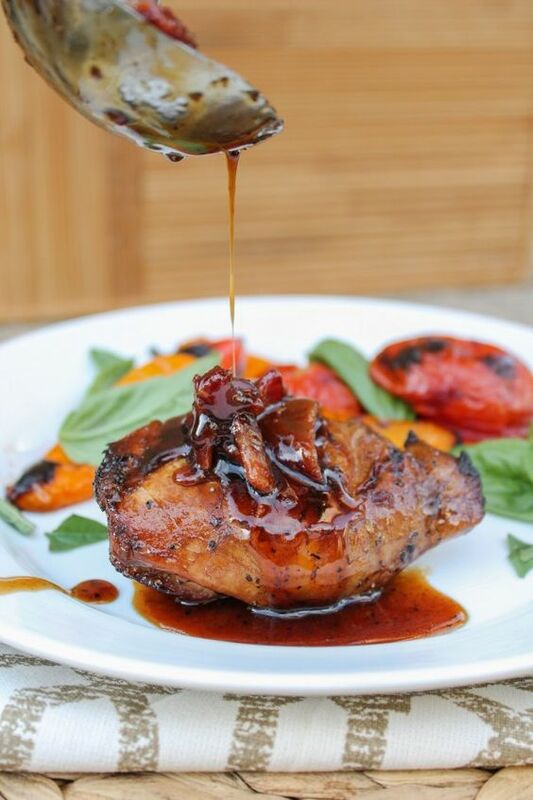 This Balsamic Grilled Chicken with Spicy Honey Bacon Glaze is so good—and so easy to prepare. The recipe works well with salmon, too! 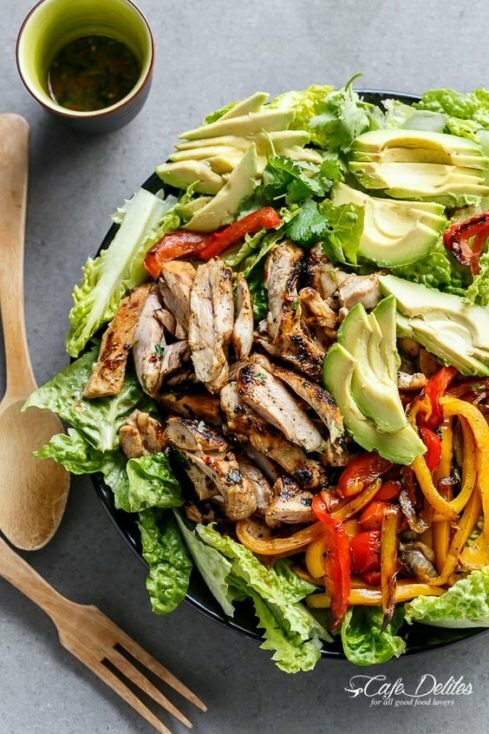 With all the fresh flavors in this Grilled Chili Lime Chicken Fajita Salad, you’ll find something new to love with each bite! 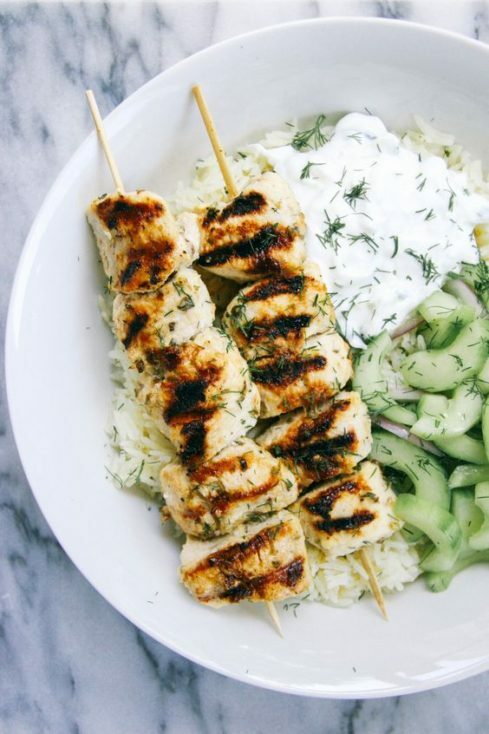 For a light and healthy Greek-inspired dish, these Grilled Chicken Kebab Bowls with Cucumber Salad and Tzatziki are perfect. 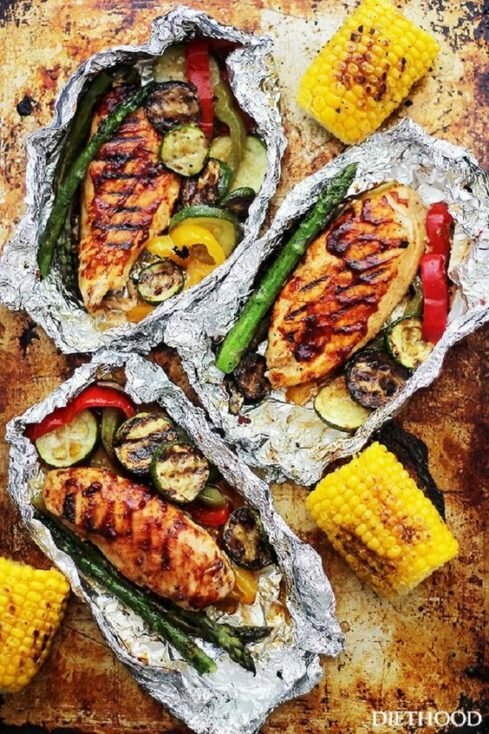 Foil-pack dinners are incredibly easy—and just as delicious—as this Grilled Barbecue Chicken and Vegetables in Foil recipe shows. 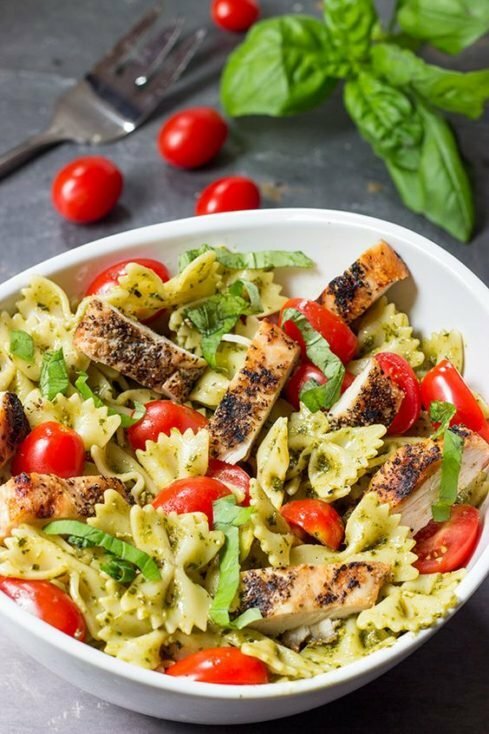 On hot summer days, this chilled Pesto Pasta with Grilled Chicken will be welcome at your table. It’s also wonderfully warming on brisk days with chicken hot from the grill. 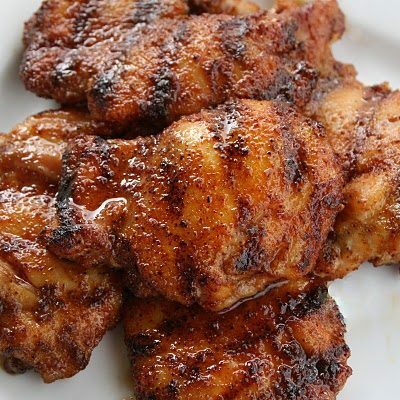 Sweet honey combines with garlic, chili powder, coriander, cumin, and more in this Spicy Honey Chicken that will soon become a family favorite. 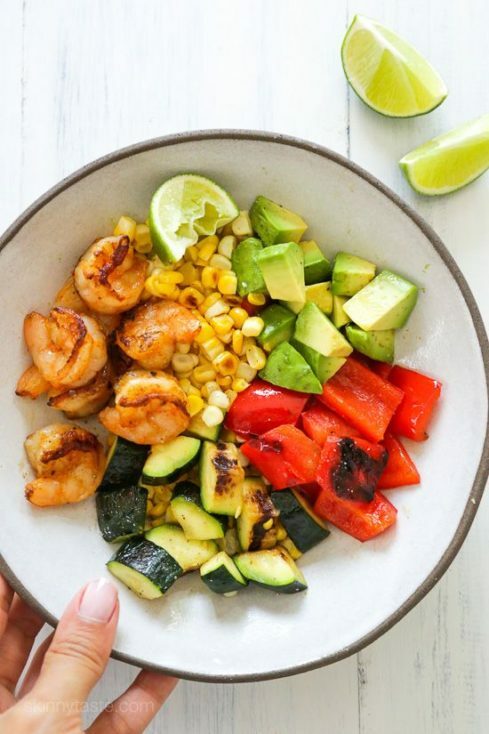 Fresh and flavorful, this Grilled Shrimp and Vegetable Bowl features grilled shrimp and corn, zucchini, bell peppers, and avocados—or whatever’s ripe in your garden or at your farmers’ market. 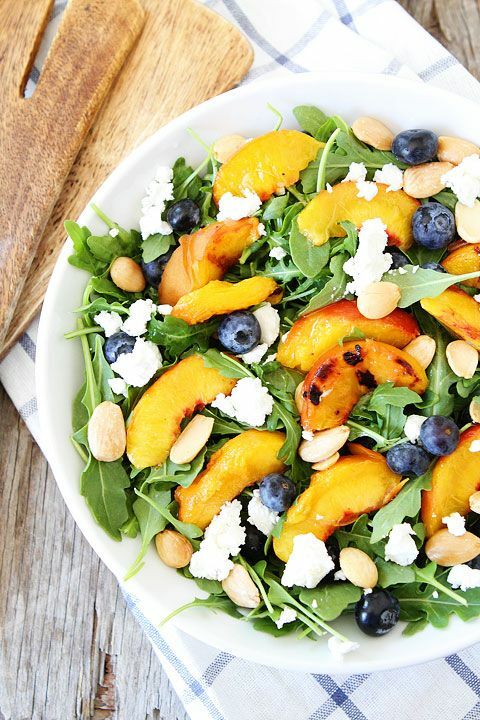 You’ll be proud to serve this lovely Grilled Peach, Blueberry, and Goat Cheese Arugula Salad to friends … or keep it all for yourself! 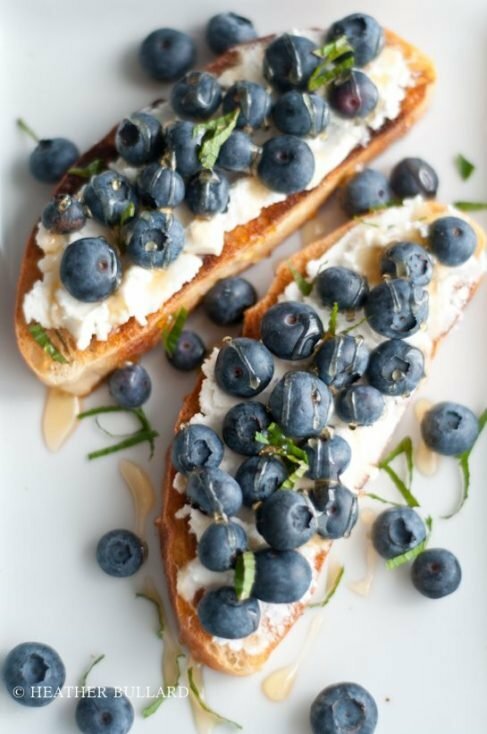 This Grilled Ciabatta, Ricotta, Blueberry, Honey, and Mint recipe is so easy to adapt to suit your tastes or what you have on hand. 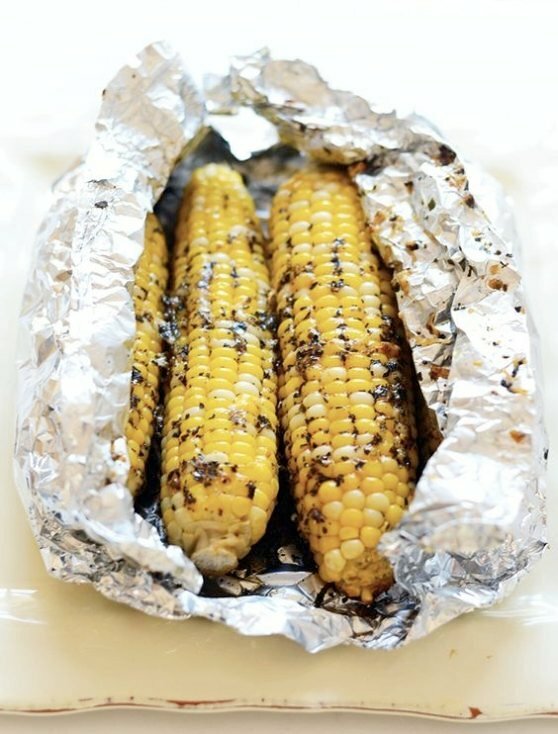 Corn on the cob is one of my favorite things to grill, and this Olive Oil Parmesan Grilled Corn sounds amazing! 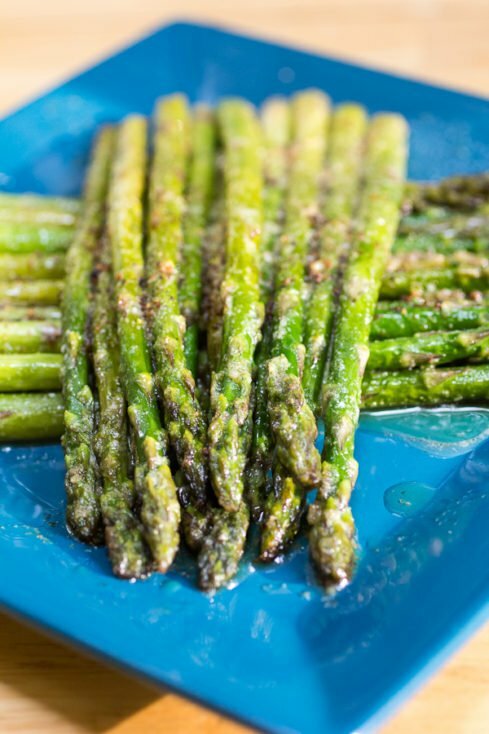 Asparagus on the grill is great; add butter, olive oil, garlic salt, and onion powder, and you have Perfect Grilled Asparagus. Delicious! 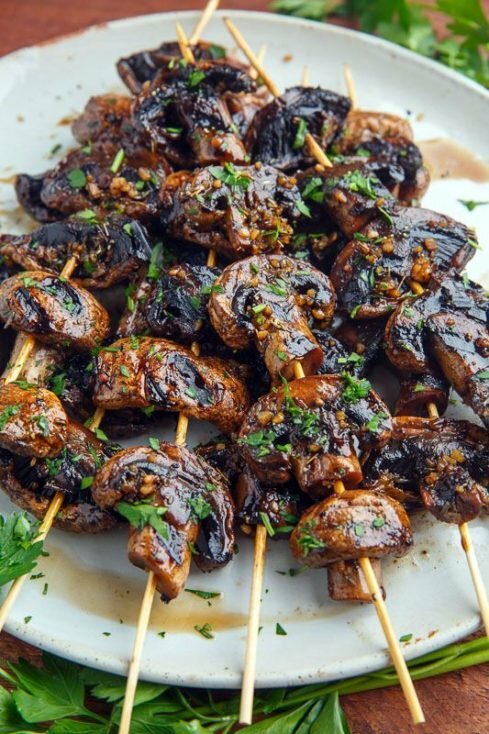 Grilling brings a subtle smoky flavor to these tasty Balsamic Garlic Grilled Mushroom Skewers that will disappear as soon as you set them on the table. 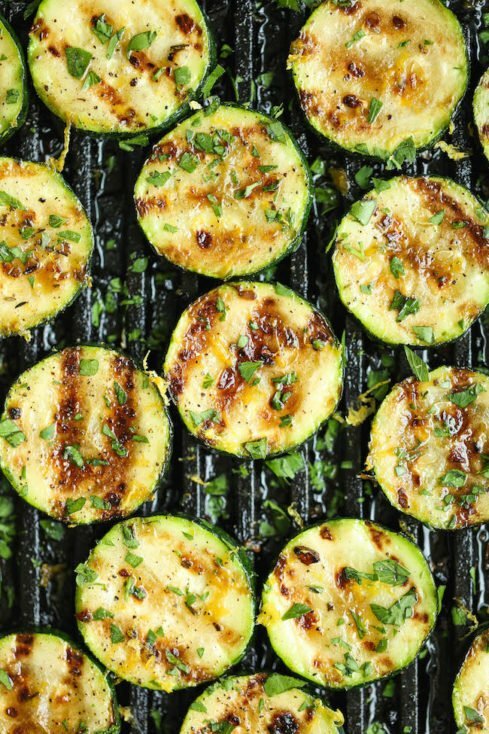 Lemon, butter, garlic, and Italian seasoning dress slices of fresh zucchini in this pretty Grilled Lemon Garlic Zucchini dish. Looking for a new way to enjoy sweet potatoes? 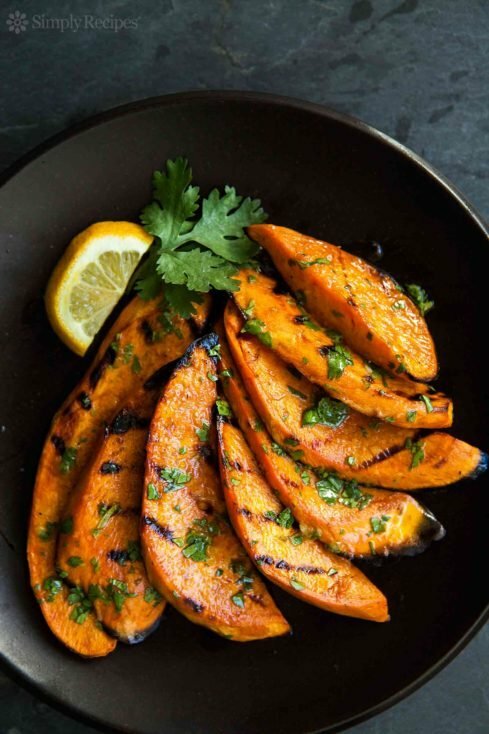 These Grilled Sweet Potatoes sound marvelous! 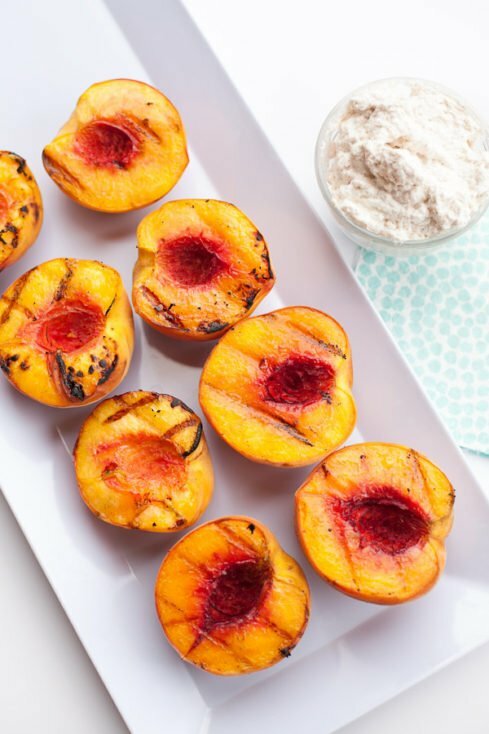 Many fruits are amazing on the grill, including these Grilled Peaches. Serve them warm topped with Laura Trevey’s cinnamon whipped cream for a special treat! If you enjoy grilling, these light and tasty grill recipes might soon become some of your favorites. All look delicious – and thanks for sharing the grilled peaches recipe – it’s a Summer favorite for sure 🙂 !! Thanks so much for featuring my asparagus! These recipes allll look amazing. I have some more to add to my, “MUST MAKE” list now!